Way back before the mobile phone came out to play everyone had a home phone or used a public phone, and companies used desk phones in their offices. 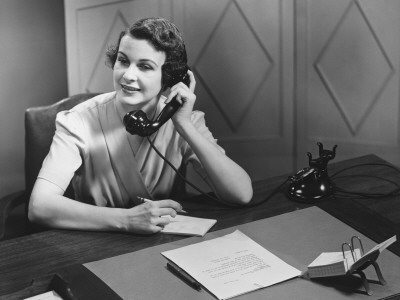 However with the arrival of the mobile phone, many started to move away from a land line handset. And since the arrival of the smartphone companies have been moving away from the office desk phone. It’s basically a natural progression as why continue to have an official desk phone, when a great deal of office workers are now out and about and using their smartphone to do their daily business. Furthermore with the arrival of the tablet to the mobile space, this has consigned the humble office desk phone even further into the phone grave. That’s not to say that some still don’t use a desk phone when they are in their office, as I am sure there are some that still do, especially if you are tied to your desk all day long. But smartphones and tablets make it easier to stay in contact with customers, suppliers, and work colleagues along with allowing you to get out of that office. We do not get many releases about office desk phones any more, and this is simply down to more and more smartphone and tablet releases that simply lift the shackles from office workers, so they no longer have to remain at their desk to do their job. Having your employees use a smartphone and tablet enables businesses to get their people out there. They are ideal for reps and salespeople who are constantly on the go, and no longer have to ask a client if they can use their desk phone to report in or place an order. Managers can now take that extended lunch knowing if they need to be contacted they are at the end of their smartphone, whilst they can check on company figures from home by using their tablet. Basically what we are saying is that it appears that office desk phones are becoming extinct due to smartphones and tablets, which isn’t really a bad things as it is a natural progression in the communications game. We’d like to ask our readers if they still use an office desk phone or whether they now rely on their smartphone or tablet in the workplace?